How many days to Spring? It’s a farmer’s wife dreaded time of year. The Spring. For others, it promises new life, buds pushing through the ground, lengthening days, but not generally for the busy young mother and farmer’s wife. Reality down in the farm, the Spring takes our husbands away. Makes them absent, hairier and more likely to fall asleep in obscure parts i.e. the dinner table. It means keeping up with paperwork, parenting alone, worry over sick animals, rushed conversations in the back kitchen. This is my eighth spring in Hearthill and whilst I’m becoming used to it’s tempetuous ways, we have not yet made friends. This year especially when the season finds me heavily pregnant whilst running around after two little boys, I’m certainly not a fan. Especially brutal is the fact that just preceding the Spring are the two months where my husband turns into a househusband, putting the kids to bed, letting me have a lie in, cuddling up on the couch for rubbish tv and generally being there whilst the cows are dried off. Bliss. 1. There’s still time to hibernate. Catch up on lost sleep, early to bed, late to rise. Long snoozes during the day. Christmas programming means there’s lots of films for the children to enjoy whilst you all snuggle up on the couch and store up energy. 2. Try not to complain about it too much. Ops. Make it pleasant for everyone, though deeply frustrating, we’ve got to play the cards we’re dealt. Even if it means ignoring the fact that your partner may not remember your name during those sleep depraved weeks, try not to complain too much. Instead of mourning the loss of Valentine’s day, make a romantic supper for two for whatever hour he might appear at your threshold, though pinch him if he falls asleep into said romantic meal! Just a small pinch. 3. 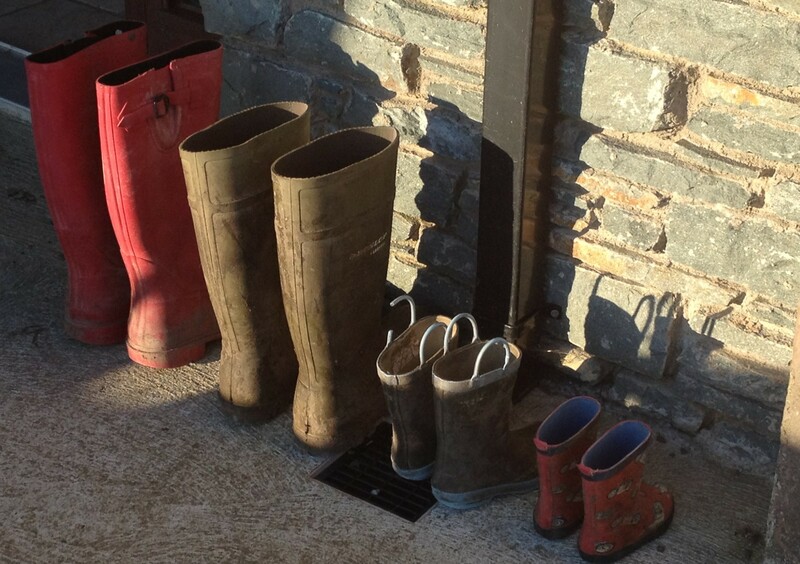 Take the children to see Dad; there are lots of safe ways to have fun on a farm, if you are blessed with little boys, you know they love nothing more than donning the wellies and getting mucky. Feed the baby calves. Let them see a cow calving. Turn up in the milking parlour to help feed the ration. Later on the spring, bring a picnic to Dad in the fields as he’s fencing. A shared flask and fairy cakes can mellow all the family’s frustrations during that busy time of year. 4. Look ahead, the season can’t last forever. This entry was posted in Uncategorized and tagged babies, farmhouse, farming, Spring on February 17, 2014 by annebennettbrosnan.